The new Footjoy Womens Casual Collection Shoes are designed with the casual styling and standard fit in the heel and instep but the forefoot is a little more shallow with extra depth in the last for outstanding comfort. These can be worn on or off the course with the versatile DuraMax rubber spikeless outsole that is very durable. Footjoy Ladies Casual Collection golf shoes offer performance, comfort and style all-in-one. Mother loves them, fit perfect. I was so pleased with these shoes I ordered a second pair. Very comfortable fit and great price. Leather is very soft. Couldn't be happier with purchase and how fast they shipped. Another great shoe from FootJoy and a great price at Carl's Golfland! I had a hard time finding real leather shoes. These are not only leather, but waterproof and comfy right out of the box! Best fitting golf shoes for me! 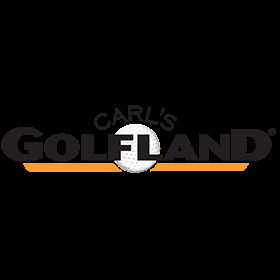 Great service from Carl's Golfland. So glad to find these shoes!